Looking for a vacation that combines culture, beaches, fun activities and fantastic food? No matter what you’re searching for, Guadeloupe is just the thing. A group of five Caribbean islands, Guadeloupe is located just South of Antigua. The two biggest islands of the archipelago, Base-Terre and Grande-Terre, are shaped like a butterfly, attached by bridges over the Salée River. As part of the French West Indies, the country has a relaxed Caribbean culture with a European twist. The friendliness of its people and the area’s rich history make it an ideal getaway. Developed but not overdone, the islands are still slightly off the beaten path and not overrun with tourists, maintaining a balmy average of 20-32 degrees Celsius all year round. 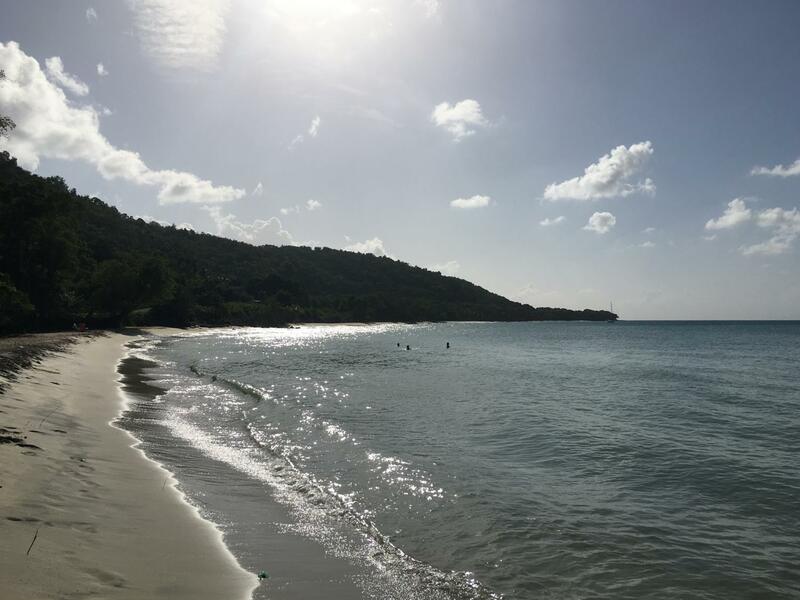 In Guadeloupe, there is truly something for everyone, with gorgeous natural landscapes including both lush tropical forests and sandy shores, as well as bustling city life. 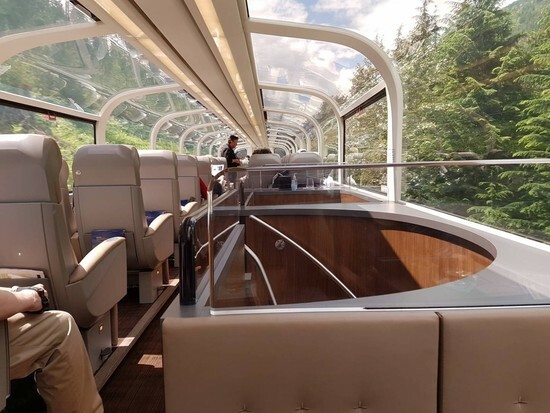 It’s like multiple vacations in one, featuring many activity options for every taste, age and energy level. Fly directly from Montreal Trudeau Airport to Pointe-à-Pitre, Guadeloupe’s busiest town, in under five hours with Air Canada. Visit from December to May for unwaveringly gorgeous dry weather, but avoid the crowds and potentially score some deals by travelling in the off-season. Whether you prefer a city vibe or would rather spend the whole day at the beach all-inclusive style, Guadeloupe has something for everyone. Located in Sainte-Anne, the idyllic Relais du Moulin is surrounded by tropical gardens of hibiscus and bougainvillea. The heart of the charming hotel is a historic windmill from the height of the sugar era, newly refurbished with a library focused on local history and a loft space with lovely views. The stand-alone bungalow rooms are luxurious and the staff always friendly and helpful. Dine at Le Mango for the most amazing hotel breakfast we’ve ever had that combines classic French baguettes, croissants and cheeses with an abundance of juicy tropical fruits and spreads. Take a dip in the pool or board the free shuttle to nearby Le Helleux beach. Simultaneously central and secluded, it’s the perfect option for those looking for a relaxing retreat within the city. Situated on sprawling grounds with their own private beach, La Créole Beach Hotel and Spa is its own little oasis. Palm trees and dark wood buildings surround the central pool and a calm atmosphere radiates through not just the top-notch spa, but the entire property. The hotel has multiple restaurants with a variety of cuisines, including a buffet-style option and upscale gastronomic restaurant Le Zawag, where you can personally select the langouste cooked for your meal. A great spot for families with an active kids club, they also feature jazz club for the adults and are remarkably close to the Saint Francois Golf Course. If you’re looking for a beach vacation, this is the spot for you. Guadeloupe is a country of contrasts, evident between the calm Base-Terre with its high peaks and vibrant greenery, and the lively Grande-Terre with its coastal white sand beaches and teeming towns. 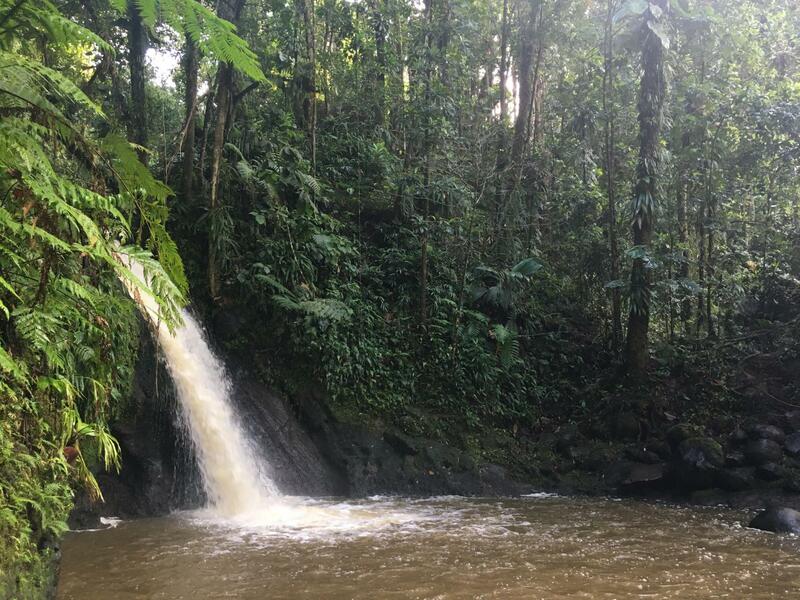 Basse-Terre (which means low land) is caped in tropical rainforest, making it a nature hub that’s great for hikes and other activities that take advantage of the beautiful landscape. Dive under the sea to discover coral reefs and local marine life on the stunning Réserve Cousteau in les ilets Pigeon. Head to the dark-sand Plage de Malendure, one of the area’s top beaches when it comes to activities. More than 20 scuba diving clubs offer introductory lessons and certification courses, but PPK Plongée is one of the best. Don’t fret if you have never been before; the experienced guides will walk you through every step, diving with you and holding onto your back so that everything goes smoothly. Take the Route de la Traversée through the Tropical Forest, part of Guadeloupe’s National Park. Nestled between two mountains, it’s the only road crossing through the rainforested areas of the island. The zone is a UNESCO World Biosphere Reserve and one of the strongest biodiversity hotspots on the planet. Hike on the track of La Maison de la Foret and swim in the cool pools of la Cascade aux Ecrevisses, the most accessible waterfall in the country due to it’s short and paved trail. The Corosol river or the Forest House also make great trekking spots and are located nearby. For something a little more challenging, hike 40 minutes to Bras du Fort waterfall in Goyave where you can marvel at the 30 metre falls and swim in the river. Grande-Terre, the more populated of the two big islands, is known for its beaches and city life. The markets in the town centres are an absolute must-see, bursting with handmade crafts, fresh produce and buckets of spices. Watch fishermen scale seafood or buy it directly off of their boats at Marché de la Darse in Pointe-à-Pitre or swing by the Marche Sainte-Anne, carrying everything from coconuts to colombo. Make sure to try the bottle pineapples, a fruit unique to Guadeloupe. 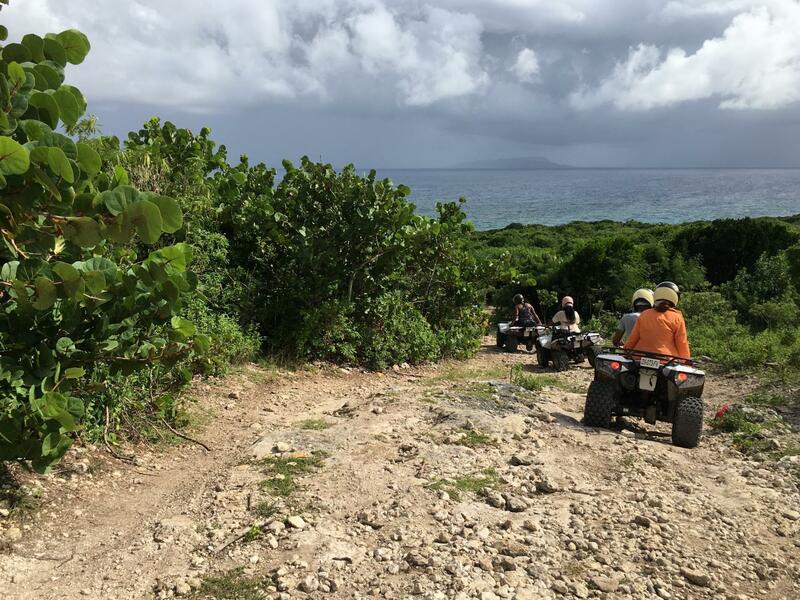 If you’re looking for an activity that gets your adrenaline going, go off-roading through the tropical seaside forest of Saint Francois on a half-day ATV or buggy ride with Quad Buggy Guadeloupe. See the island from a unique perspective and tackle rocky trails with ease to be rewarded by beautiful countryside and ocean views. 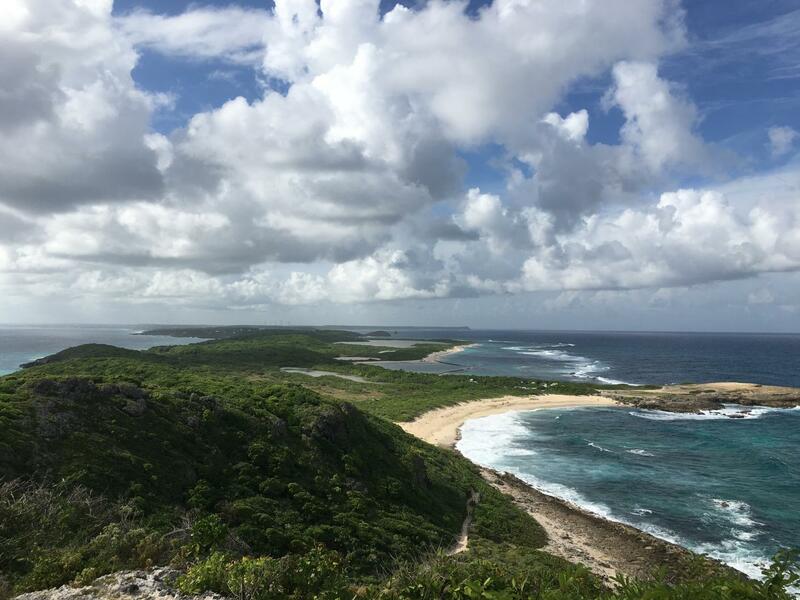 Hike up to a stunning cliff-side 360 lookout point at la Pointe des Chateaux, close to Saint-Francois, overlooking the beauty of La Désirade and the crashing surf of les Grandes Salines. Visit the fascinating Memorial ACTe museum to learn about the heart-wrenching history of slavery and the slave trade, throughout the Caribbean and beyond. Opening in 2015 on the waterfront of Pointe-à-Pitre, the architectural standout of silver latticework is a local landmark and the displays within document the slavery of Caribbean people, the importation of slaves, the harsh realities of their daily lives and their brutal battle for freedom. 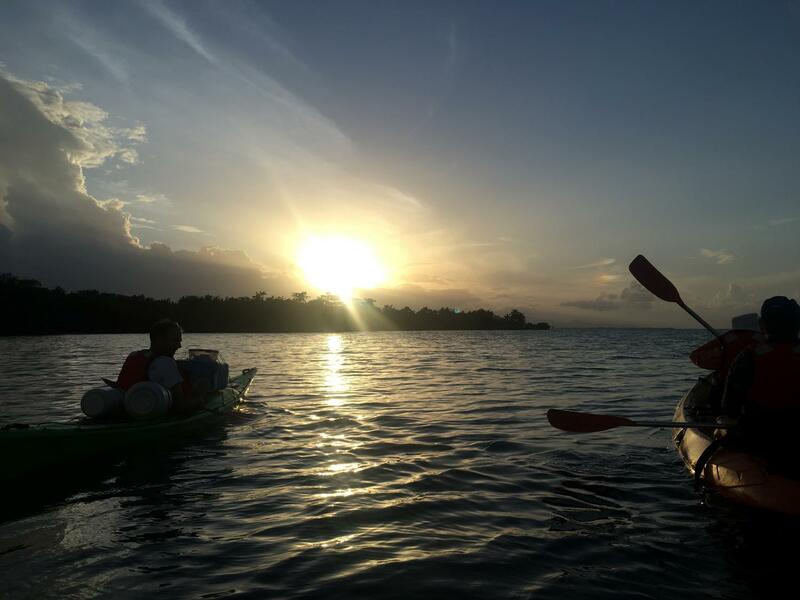 Kayak through four different species of mangroves in the "cul de sac marin" lagoon with Yalodé Kayak Canyon Guadeloupe to watch the from the water as the sun sets over the Caribbean Sea and be part of a special surprise. All past attendees have been sworn to secrecy but rest assured, it is a bucket list item that is not to be missed. Interested in seeing all that the other islands have to offer? Take a day trip to Marie Galante, an ode to an authentic local way of life. Board the L'Express des Iles ferry to Grand-Bourg, about an hour journey, to step back in time to the islands’ cultural roots. 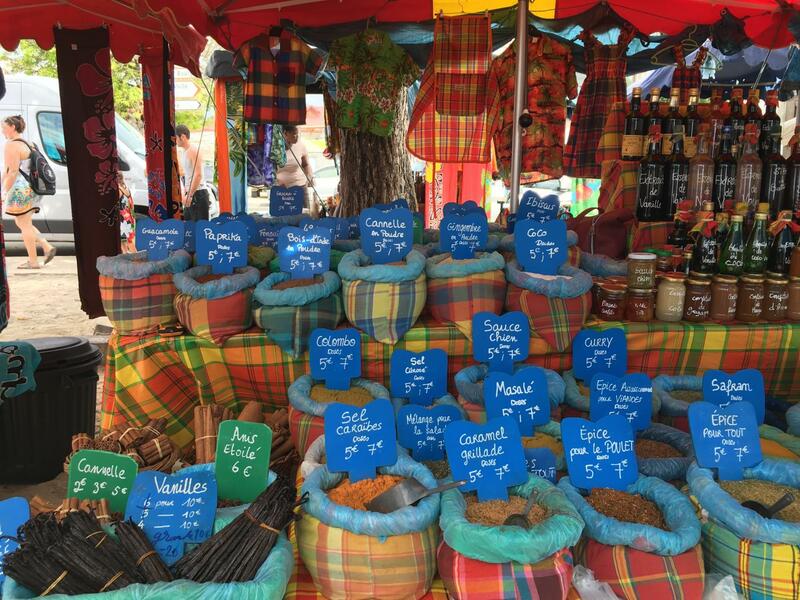 Stroll through the market stalls selling rum and spices, view the culture’s traditional old architecture and taste classic Creole food. Roam the grounds of Le Château Murat, built in 1839. 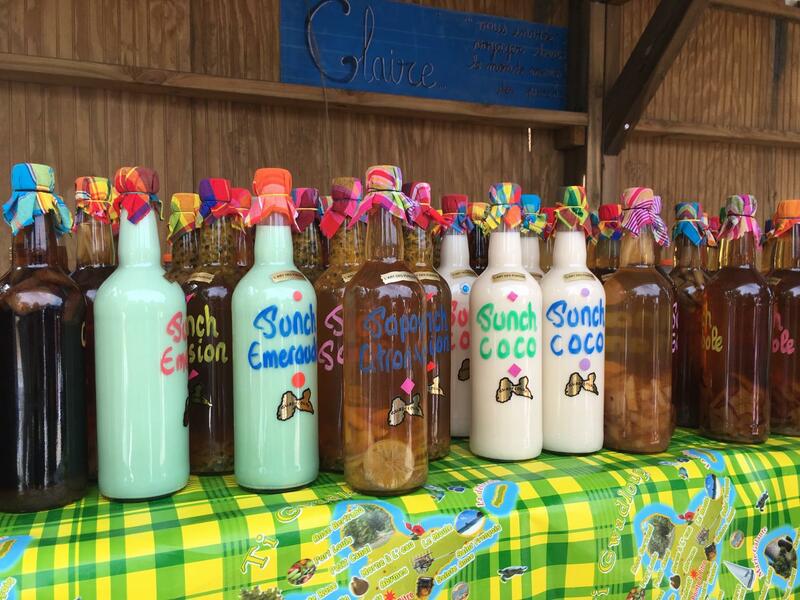 Once the largest sugar cane plantation in Guadeloupe, it is now open to the public and features a museum of the sugar cane industry and local traditions from colonial times. 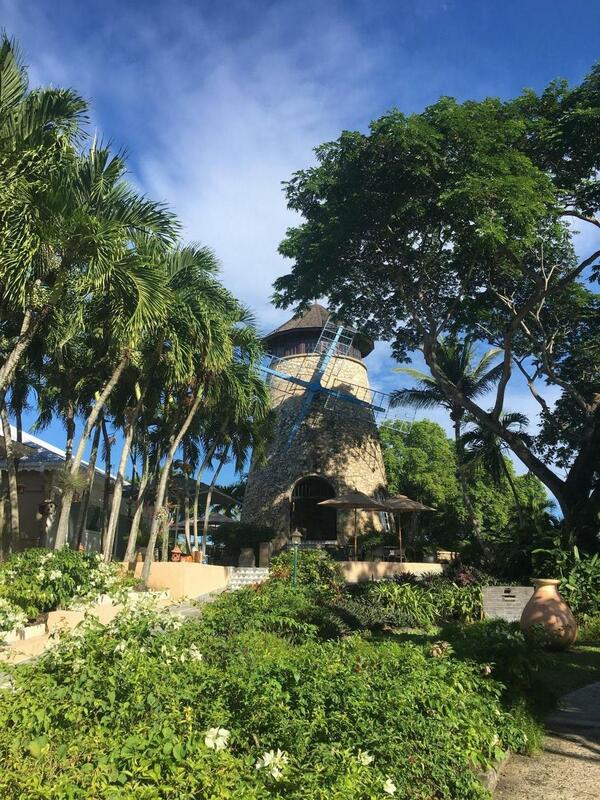 Spend the afternoon at the distillery of Rhum Bielle to learn about the old tradition of rhum agricole, how the liquor is made from pure cane juice and taste the final product. Kick back and relax at the end of the day on one of 10 pristine beaches with next to no crowds, such as Massacre beach. 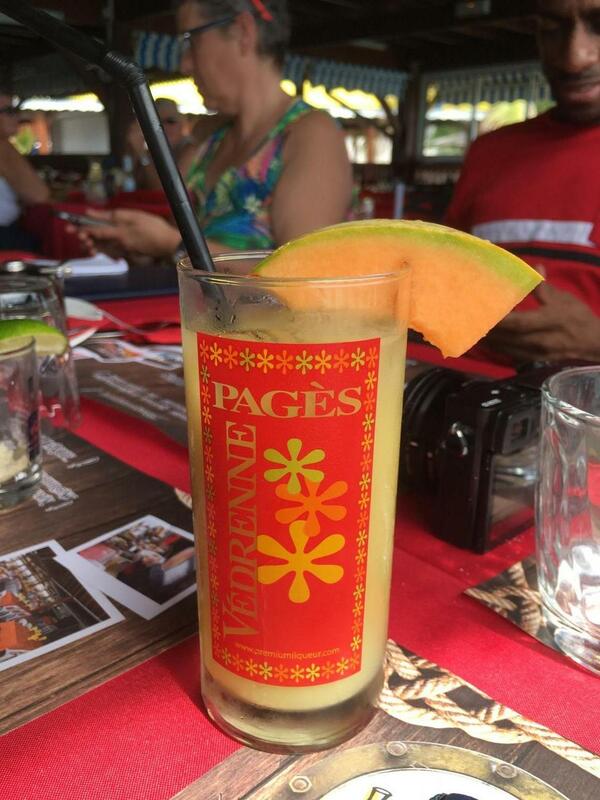 A delectable fusion of French and Creole cuisines, the food in Guadeloupe is as unique as the islands themselves. The menus of local restaurants are often a smorgasbord of influences, often serving boudin next to tropical fish or foie-gras with Creole spices. One traditional dish is accras de morue, deep fried balls of codfish typically served as an appetizer with la sauce chien, an oil-based creole condiment made with herbs and peppers. This local specialty is a staple at many restaurants around the islands. Another must have is the French influenced Boudin, otherwise known as black pudding or blood sausage. The delicacy of European descent is an acquired taste, often served alongside “white” versions for those who cannot stomach the original. Try both dishes at restaurants like La Rhumerie de Pirate. 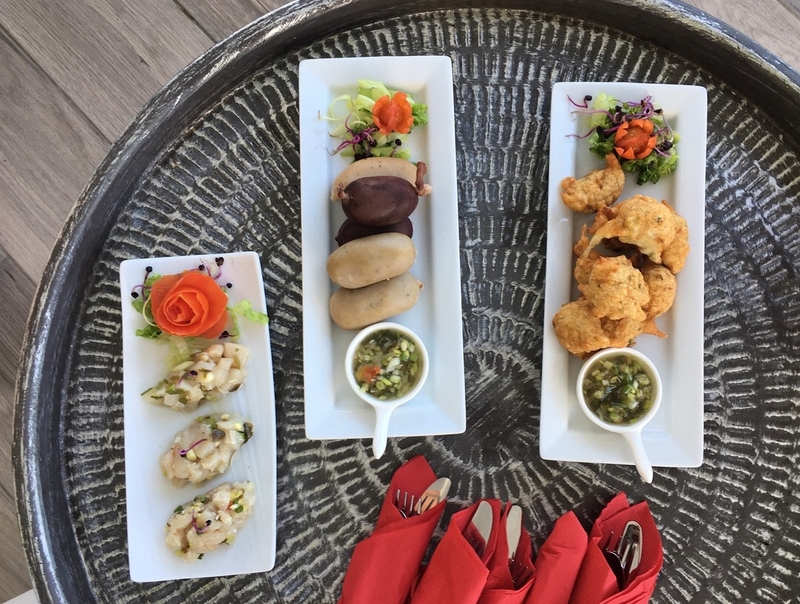 Sample exotic varieties of fish at the Yacht club, right next to fish market in Pointe-à-Pitre, or Dine at La Touna, close to Malendure beach, for surf and turf with views of the Cousteau Reserve. Le Poisson D’Or in Sainte-Anne is the perfect place to try chicken Colombo. Bokit, a version of Johnny cake, is a local street food staple. Stuffed with various fillings, the deep-fried bread is perfect for satisfying your sweet tooth mid-day. For dessert, indulge in the coconut sorbet made in a traditional wood ice cream churner, often by hand, available around the islands in the markets, next to beaches or on the side of the road. Accompany your meal with freshly-squeezed juice from one of the many sweet tropical fruits, including mango, guava, pineapple, starfruit (carambola), passionfruit and tamarind. 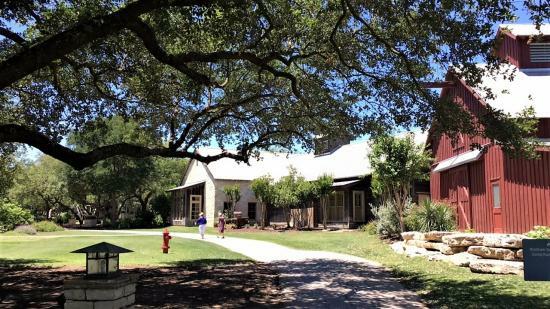 Nestled within South Central Texas, the hidden gem of San Antonio is an ideal combination of great weather, fascinating culture, beautiful scenery and delicious food. 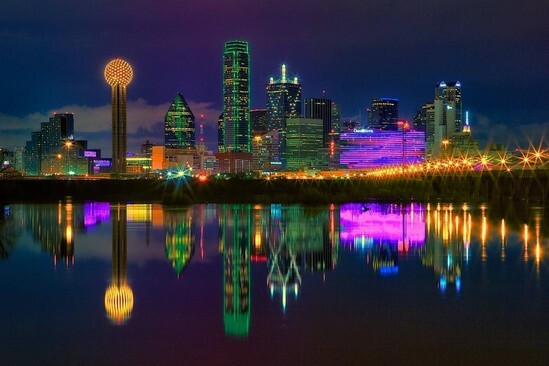 Whether you’re looking for a romantic getaway, a family vacation, a cultural immersion or a weekend of relaxation, San Antonio has something for everyone. This was such a wonderful piece on one of my top 5 bucket list destinations! I have the feeling Guadeloupe is a bit underrated for all the good stuff it has to offer, and the section on food especially gave me the impression the island is a mouth-watering paradise! I am particularly interested in diving, do you have any idea how dive spots such as this one - https://dive.site/explore/site/pointe-carangue-r8N4, or any dive spots on the island, are?